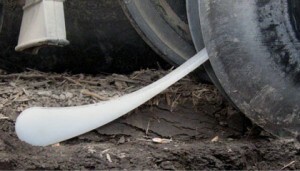 Consistent depth control is the most important job of your planter. And even the best maintained planter can still have depth variation of ½” or more. Keeton® Seed Firmers gently set seeds to the bottom of the trench. A thin piece of poly slides down the seed trench, trapping seeds as they exit the seed tube and firming them into the bottom of the "V".